Sports card & memorabilia shows worth attending are becoming smaller in my opinion. The two shows I enjoy attending the most include The National Sports Collectors Convention and the Ephrata Lions Club Sports Card Show & Auction. When I first started collecting, I thought the show put on by the Ephrata Lions Club was the biggest thing in the world, then I went to The National. Then again, size doesn’t matter. Its the content that really makes a show good. The Ephrata Lions Club Show has tons of Phillies stuff. I’ve picked-up a lot of nice Phillies items there. Their next show takes place Saturday, March 23, 2013. 1987 Cy Young Award Winner Steve Bedrosian will be signing autographs from 11:00 a.m. to 1:00 p.m. I have seen a lot of cards from the T206 set, including two of the world famous Honus Wagner cards, but this card I guarantee that you will never forget. Almost everyday I check the sports card section on eBay and this week I came across a very different looking card. See scans below. 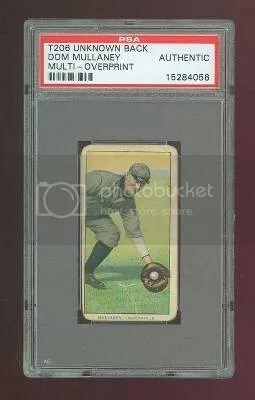 This is the Don Mullany 1909-11 T206 Unknown Back Multi-Overprint card. As you can see, the front of the card looks like a regular card, but when you turn it over the back seems to be printed over multiple times. 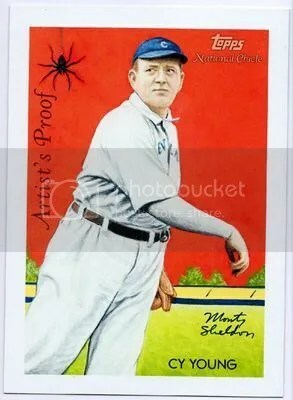 You can see there are a few different company logos printed on the back, but one of the most important images is the “ghost” of Cy Young. This isn’t the first card from the T206 set to be overprinted, but it is most likely one of the most popular. Probably back in the time when this card was pulled out, kids thought it wasn’t good to have because it didn’t look like the others. In this case, being different is very good. 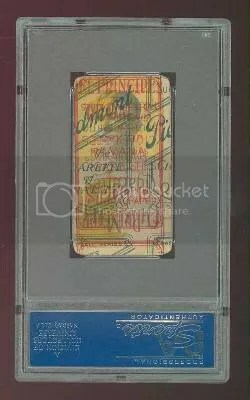 This week, this card sold for $9,750.00. It sure beats out any error card in today’s hobby.